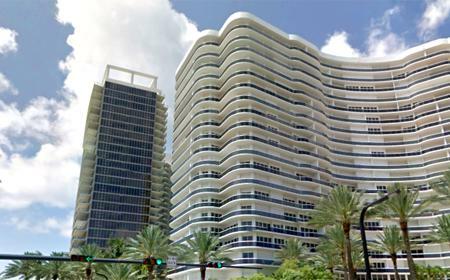 The “rich and famous” love Bal Harbour village because it is a prime location for those who fancy a luxurious lifestyle. 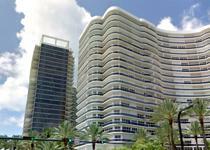 Now, you can live in this location because the Majestic Tower Bal Harbour has condominium homes for sale. This area is recognized all over the world for its gourmet restaurants and designer shops. The fact that the beach and Miami are nearby is also a definite positive. The tower has 22 stories and 153 condominium units. The two-, three- and four-bedroom homes measure between 2,160 and 4,506 square feet. Residents travel to their homes in style in their own private elevators. When people enter the building, they do it in the lap of luxury with a glorious glass dome above their heads. This splendor dominates throughout the property as people walk through the gardens and find verdant plants and trees flourishing and several species of birds thriving. If they don’t want to leave the building and they don’t feel like cooking, they can take a trip to the building’s restaurant and café although many gourmet restaurants are just a few steps away. If they decide to venture out to the beach, it is right outside their doors, but they can also enjoy the pampering they will receive in the air-conditioned cabanas by the pool. The building’s amenities are wonderful, but the individual condominium units have just as many glorious features. The ceilings are 10 feet high, and the cabinets were all custom-built. The floors are made of marble, and this causes them to be as comfortable as they could possibly be. The kitchens were created to be fit for a gourmet chef. Every home is in full view of either the Intercoastal Waterway or the preeminent Atlantic Ocean. The windows of these homes allow in a maximum amount of light, and they contain their own private balconies. Safety is assured because of the hurricane shutters. 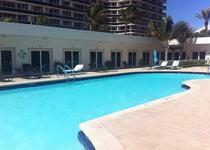 You are advised to purchase a home in this opulent building if luxury is what you crave.